I've been on holiday this week and am able to report that the shores of Lake Maggiore are positively awash with the ubiquitous augmented reality creatures, their PokéStops and gyms. Or so my son tells me. Honestly. It hasn't taken long for opinion pieces on a wide range of the potential legal consequences of the latest electronic craze to sweep social media and the press. One obvious potential outcome is a sharp upturn in related personal injury claims. However and as this piece from the Aberdeen Press and Journal should illustrate, a dose of common sense is required. In short and if you come to grief exploring the Kinnaird Head Lighthouse, after dark, in your quest for a rare water type Pokémon, it's reasonable to assume that you'll receive short shrift from the Courts. The concept of contributory negligence remains firmly in place as does Ex turpi causa (Latin for "from a dishonorable cause an action does not arise"). In other words, a claimant will be unable to pursue legal remedy if it arises in connection with his own illegal act. Richmond Police have already taken steps to issue warnings for drivers not to "Pokémon and Drive", telling gamers their police station is not a "PokéStop" to catch and train Pokémon and that "Pikachu will not expect you to run in the road, and Squirtle won't want you to swim in the Thames". The RAC have taken a less light hearted approach, noting that "The Pokemon Go revolution could take the illegal use of hand-held mobile phones at the wheel to another level....it is critical that drivers are not tempted to have the app running on their mobile phone when driving". Ultimately and if you've really "gotta catch 'em all", you need to watch your step and engage your brain, unless you also want to catch some broken bones, points on your licence or worse. 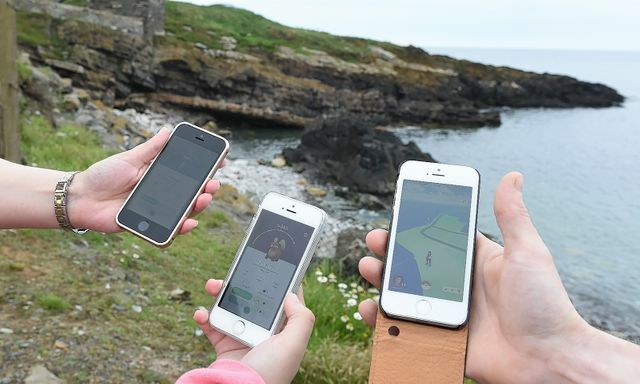 Pokemon Go fans are dicing with danger by playing the game beside cliffs at a north-east landmark. The Kinnaird Head Lighthouse in Fraserburgh is named as a “gym” in the new mobile phone-based craze. And scores of players have been making their way to the rocky outcrop – often in the dark.